Depending on your industry, both Facebook and Google seem to be waging Ad-Mageddon on advertisers lately. This is especially true in the wake of the Cambridge Analytica Facebook scandal and the EU’s General Data Protection Regulation (GDPR). Audio ads don’t get ad filtered; they tend to be less annoying (or at least perceived as such) and come with an inherent understanding that podcasts and streaming music need funding. They may be the future of advertising. A new report by the media and advertising experts at WARC states that digital audio projects and podcasts are an increasingly good way to reach people. At the end of 2017, Spotify had 157 million global monthly active users, 71 million of which were subscribers who listen ad-free. Meanwhile, Pandora reported 74.7 million active listeners at the end of last year, with 5.5 million of those subscribing to its ad-free products. Voice-guided AI like Alexa, Siri, and Google are leading to spoken call-to-actions like “open page,” “learn more,” or “call company.” With technology growing so fast in the audio industry, it is indeed not a dangerous place to put your ad money. As for podcasts, people also tend to be more tolerant of ads when listening to this medium, as they understand that it is one of the only ways for creators to make money. Some podcast hosts have even become so familiar and comfortable with their regular advertisers that they playfully make fun of the advertising copy to sell it. The podcast, “Pod Save America,” are familiar with their advertisers. The podcast provides a new way of advertising that is almost more successful than just the ads themselves. In turn, loyal listeners of podcasts are familiar with all their most frequent advertisers, and 62% of the 7,000 U.S. consumers surveyed by Nielsen (and quoted in WARC’s report) said that hearing ads on podcasts would make them consider new services or products. 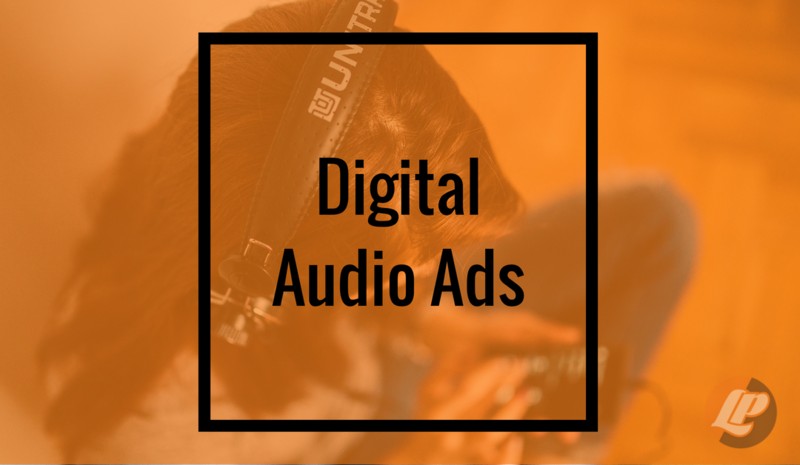 Digital audio ads are generally a cost-effective spend, especially if you can reach your “tribe.” Programmatically, they’re great at targeting audiences – and the more targeted your audio ad, the higher the return on investment. Depending on the podcasts sponsored you have potentially global reach. Your audience finds your ads less annoying, don’t get ad-filtered, and come with an inherent understanding that podcasts and streaming music sources need funding too. Your digital audio ads are also more likely to reach the folks that don’t listen to the radio. The only thing that’s certain in the future of advertising is change. No matter what changes companies like Facebook and governments like the EU throw your way it’s possible to stay ahead of the curve. In the post-ad-pocolypse landscape of ad-blockers that curve includes digital audio ads— part of the future of advertising.